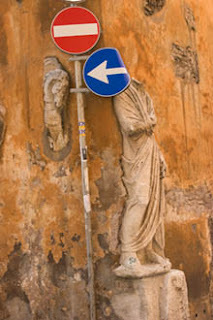 A headless statue stands sentry next to traffic signs on a one-way street in Rome, Italy. Its manner is casual and I almost expect it to be smoking a cigarette, if it had a head of course. Surrounding it are smaller remnants of sculpture. A nearby plaque commemorates renowned neo classical sculptor Antonio Canova. Born in the mid-1700s he trained in Venice and later moved to Rome where he set up a studio to produce his masterpieces. You can find the statue and wall of sculpture pieces on the corner of Via Antonio Canova and Via delle Colonnette in the city center off of Via del Corso. Here is a map. This is the second in a series on Rome’s Offbeat Archaeology. You can read part one here. That's really cool, it would be great to live somewhere with such history and art basically everywhere you turn. 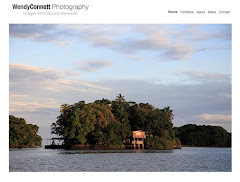 Great posts! Thanks. Rome is one of a kind for sure.